We can see here that Jude is encouraging us not to flow with the trends. He is saying that he was eager to write about other things, but first wants to outline what it is we should fight for. He then lists these things, saying that certain people have perverted grace, distorting the grace message for their own end. So we can do that and we must be careful with that and we must stand against that. He then talks about those who “deny… Jesus Christ.” So we must preach Jesus! We must fight for that – fight for keeping Jesus as central! 5 Now I want to remind you, although you once fully knew it, that Jesus, who saved a people out of the land of Egypt, afterwards destroyed those who did not believe. God is judge and we mustn’t mess with that. This is another truth we must contend for. Remember when Herod was eaten by worms? What was the point of that? Well, we can see that when you oppose God, you’re going to lose, and that God does kill people. The text doesn’t say that Herod slipped and died accidentally, but it says an angel of God killed him. (Acts 12:23.) Or remember what God did to Nebuchadnezzar, having him eat grass? Nebuchadnezzar was told to bow before the King of Kings. Herod was told to bow too when Peter was rescued from jail. God is the judge and we must fight for that truth. Why do they get into sensuality and cause hassles in the Church? Why do they reject authority? Because they’re relying on dreams and fanciful thoughts instead of the Word. The Word is a rock and riverbed, you don’t mess with it. We must fight for this truth too. But now let’s look at the conclusion here in Jude. Here’s what we’ve also got to fight for – snatching them out of the fire. So we can see here that we fight for the preaching of Jesus; for God as judge; for the Word; and for the rescuing of people from the fire – we fight for the truth of grace. I think that often merges into the question of style. We’re fighting for the rock of seeing people saved, but how that’s done varies in millions of different ways because God is infinitely creative and wise. He uses different ways to achieve this. Some might say they don’t like this or that style and that’s fine, as long as we agree on this: that we are to be plucking them from the fire. 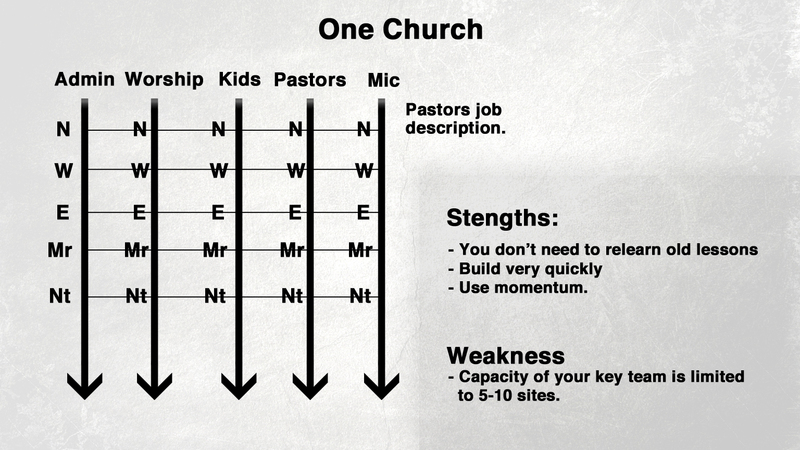 One of the styles God is using in the world today is the practice of having multiple sites of one church. I’ve been very reluctant to speak on this before because it usually only applies to a small percentage of an audience. Plus, we’re rookies in this thing – at NCF we’ve only been doing this for seven years, which is hardly a proven track record. And thirdly, the practice of planting sites fits under the element of style and therefore we can’t get dogmatic about it. But I’ve been concerned about this because it seems to have become the in-vogue thing. 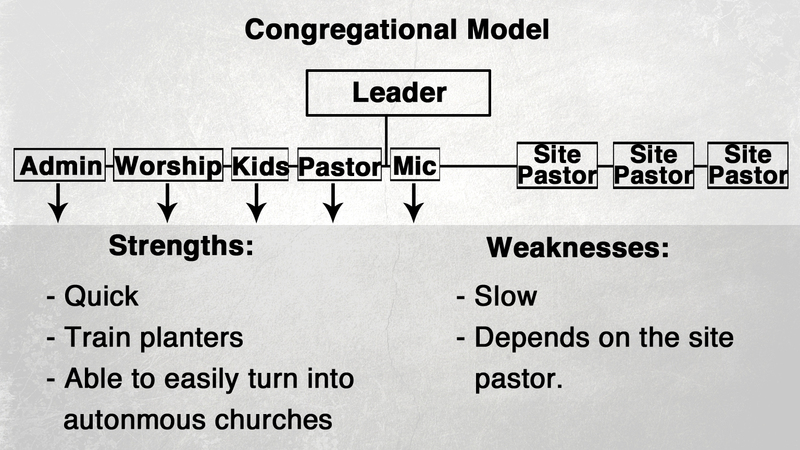 I’ve often seen that if a church is struggling these days, the go-to solution is to hook up with a bigger church. Not that that’s wrong, but I’m concerned when it becomes the in-thing to do. Sometimes it works to get an emergency sorted out – for example, we took over a church because of an issue of immorality (there was also a solution of sending someone else but this was the better solution); or it can work when the guy leading a church ought not to be leading; so I’m not against this but I am saying that it’s often becoming the default solution, and as a result we need to comment on it with some degree of understanding and talk about it. My personal opinion is that this should be the last resort, not the default. If we don’t speak about this then things can get clumsy and complicated and that will obscure Jesus, who is our focus. 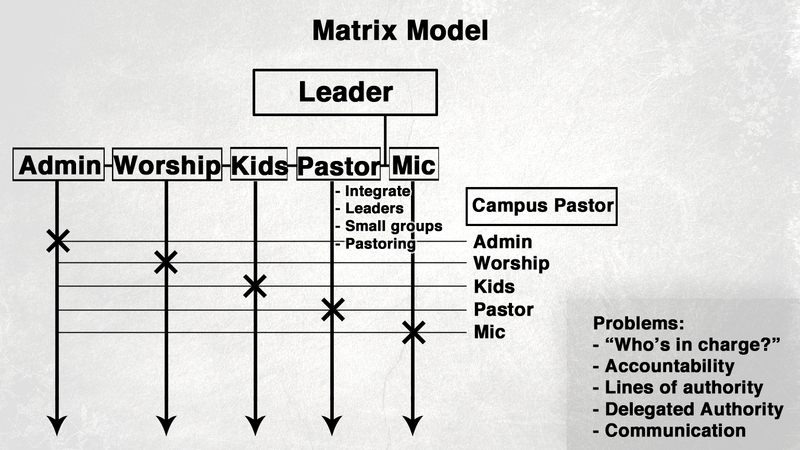 If you don’t understand your structures then you serve your structures rather than Jesus and the Gospel. So let’s clear the decks a little bit and keep Jesus the main thing and embrace what God is doing today. 1. 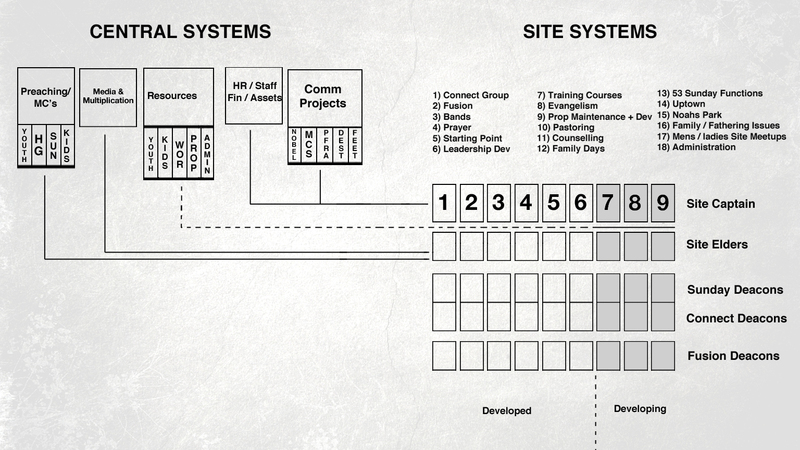 Why would we do multi-site? I started by quoting Jude because this is about style and also because there is only one reason why we at NCF morphed into a church in multiple locations – to see the lost saved. We were stuck in the southern suburbs of Pietermaritzburg and were quite marginalised as a result. We were 300 metres from a game reserve and Pietermaritzburg was growing in the opposite direction. So we decided that we had to go in the direction the city was growing. We took a hundred of our people in an effort to turbo boost a new site – for the sake of getting people saved. In 2006 I travelled to the U.S. to see what they were doing with multi-site, as not many of us here in South Africa were doing it at the time. And I didn’t like what I saw – I didn’t like TV preaching and a lot of the organisation I saw around it, as well as a lack of community in many instances. I came back confused. 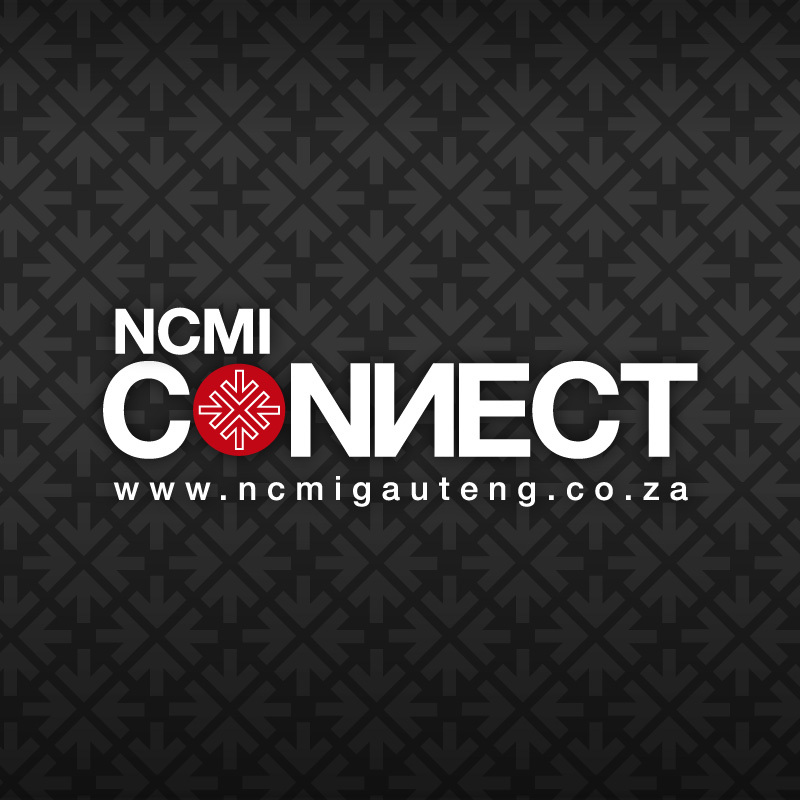 But we took a school in the northern suburbs of Pietermaritzburg anyway with our hundred people and it was more like just doing an evening meeting, which is why we found it quite easy. But when you set up a third site then suddenly you have these kinds of discussions because you can’t split yourself three ways. We found when we made this move that we could shape our church services differently, we could send differently, we could reach a different community, and this got us excited. We haven’t changed our motive in the slightest. The reason why we start a site is to travel to a community that won’t travel to us. We’ve seen a whole lot more people involved in the mission of Jesus. We invented as many activities we could to run a meeting – children, sound, preaching etc. We’ve created about 53 activities in total and we try to invent more all the time because the more people get involved the more people take ownership. And when you move into a new community and you have ways for brand new people to get involved, they feel like they belong straight away. 2. Musicians come out of the woodwork. You’ll be surprised how many people put their hands up when you ask who can play an instrument, but you also find that they aren’t volunteering because they think the pros are the ones doing it. But as soon as you give them another stage they put their hands up. Different bands and worship leaders sound different, just like different preachers. We formed a preaching team (rather than doing video preaching) and that’s helped to create more preachers. Our sermons are planned right up to Christmas time and this means that our preachers are able to arrive at a meeting armed and dangerous. We dissect the word of God together for two hours at preaching meetings and this sharpens the preachers so they know what they’re gunning for. When your team is constantly looking into the next suburb to see if it can open another site, you get an element of pioneering back. When you’re big in one building you morph into a bit of a slumber. But sites puts frontier work on the page again. Every time you open up a new building there’s a faith adventure, a finance adventure, a new area to unearth, and guys start trusting God again in this. It keeps Jesus in front of what the church is doing. If you were unwise you can make your church the main focus, but if everything you’re doing is for the purpose of getting Jesus to your city this is a great way of doing that. We used to say that two visions equal di-vision, which is true if you’re in one space. But if you’re in multiple spaces you can have multiple visionaries, as long as they’re led by other visionaries. Our sites are doing all sorts of things – running second meetings, going into schools, calling campus-wide prayer meetings, getting in certain speakers – and none of these have been things I’ve decided on. Visionaries at these sites are doing their thing and things are moving. Collectively, when you decentralise prayer in these communities they take ownership of prayer. We don’t have one massive prayer meeting that’s multi-site and as a result we have much more people praying every week. Those of you planting churches know that it can take years before you can take on your next staff member or do a big outreach. The wealthier sites look after the poorer sites in this style of doing church. Very few unbelievers will drive far to get to a church meeting. You’ve got to go and fetch them. Sites can keep the focus in a church on the main thing because the objective is to see people become disciples of Jesus. This is because you get busy with this and are too busy to fight with each other and be pulled in other directions. If God is in it, I’m a fan of taking the mission and multiplying it, whether it’s meetings or a community and so on. We saw Jesus multiply his mission. We must remember that sites are neither biblical or unbiblical, but are abiblical, because this is about style. Planting sites at the wrong time with the wrong people with the wrong motives is extremely hazardous and life threatening. If you haven’t got the resources or momentum to do it and you multiply what you have already, you can slow down your movement – like chopping a snowball rolling down a mountain. If your church is reasonably big and you send off a small group to plant a site, this group can often turn and say, “We want family church.” You thought you were sending pioneers but you sent critics! Critics who want to forget that big thing over there but focus on a small, family community. In one sense, in a small relationally cohesive unit, you do get people who find it difficult to join a big community. But if you overdo that you won’t grow because they will say they just want to stay a family. Why not then just have home groups? I’ve got a friend who struggles to preach twice on a Sunday. If you’re wired to put everything on the table on one Sunday preach, you’re going to become boring if you try to split that up. So while some guys can tire out quickly, others need multiple meetings and sites just to exhaust themselves while the rest of us need to catch up. If you’re not in that kind of category, don’t try multi-site. You’ll die of fatigue. I know a lot of pastors who’ve shrunk down their lifespan because of doing this. You’ll notice that when you do two morning services at a particular venue, the numbers shrink at each service. For example, you might have 150 people on a given morning but when you split it, 100 will go to one service while 50 will go to another (it doesn’t usually split 75 / 75). Some preachers struggle to cope with that. If you’re not geared for this, your meetings can also become dull. My number one audit for meetings is whether they have lost their edge, vibrancy and life. There’s a big difference between the Comrades and a hundred meter sprint. If your meetings become dull, you’ll tap off on seeing people saved and that’ll have a knock-on effect on the motivation and life of your church. If you don’t have enough volunteers, you’re going to be asking the same guys to always do what’s needed and then you’ll tire them out (and bore everyone else). If you battle to raise volunteers, if that’s a constant problem, don’t try and do multi-site. First ask God to give you the skill of raising volunteers. If you’re not convicted that every time you ask someone to do something you’re blessing them, don’t do multi-site. If you think you’re asking them for a favour, don’t go anywhere near multi-site. You’ve got to have the conviction that you’re giving guys a huge opportunity in the Kingdom when you ask them to do things. Out of the sites we have, 10 percent have been merges with other churches while the rest of the sites have been plants. I’d take planting a site over merging 99 times out of 100. I’m concerned about this knee-jerk reaction – this idea that if your church is struggling you should hook up with a larger church. Here’s a saying for you: “Man does not live by branding alone.” Churches do not grow by branding! You can’t stick an NCF sticker on a church and expect that to grow it. Some people spiritualise this and say, “The grace on that house will drift over to us and the miracle that happened there will happen with us.” Not so! Why do visitors come to a church? Because the people in the church invited them! So just signing up makes no difference. If the lead guy of that church wasn’t able to empower his eldership and the people in that church, then just because the church has hooked up with another it doesn’t mean anything is going to change. What makes things grow? Or rather, who makes things grow? God. He uses leaders and growth happens one disciple at a time. There are no short cuts. Some of these movements around the world that are gobbling up little churches have no leadership ethic and therefore they are going to crash. If you haven’t got disciples-become-leaders holding it together, it’s going to crash. It’s one leader at a time, one disciple at a time. No short cuts. One particular church we connected with was a church that was led by a man with a similar outlook and similar values to me. They were only 740 meters away from us, so you’d expect the culture to be the same. However, many of those people that were there were disgruntled NCF members. Despite our similarities, the DNA of that church and our DNA was as far as the north and the south pole! We had to learn from that. I’ve heard one man say, “I’m going to download my DNA into that site”. No, it doesn’t happen like that. DNA is created through stories and victories and failures and people, not concepts and branding. If the sites are so far away that the relationships are not real, then what holds you together is structure, policy and money, and then you are close to denominationalism. My definition of denominationalism is “government without relationship”. So I would question the extent to which that can work. 1. Battle to raise volunteers. 3. You don’t have sufficient energy reserves. 4. You don’t have the numbers to carry you. 5. Don’t have a personal conviction. If you do not have a personal conviction that God has said you should do it. It might be a matter of style, but we’ve got to walk by faith and be led by the Holy Spirit. You don’t cut and paste what others have done. If you don’t have a conviction, forget it! Right-click the links below and choose the ‘save as’ option.